Darlington Park 1995 is an updated layout of my 1992 Darlington Park circuit. This new layout has extended the total length by 414 metres from 4.449km to 4.863km. The new layout utilities more of the land available to the circuit by adding two high speed straights. The pit area has been moved to the northerly part of the circuit along the flat between the original start / finish turn and the final turn. The old start / finish turn is now a clear turn 1. Ultimately, the old circuit was 4.449km and high speed with a total of 12 turns. Now the 1995 layout is 4.863km yet still has 12 turns. 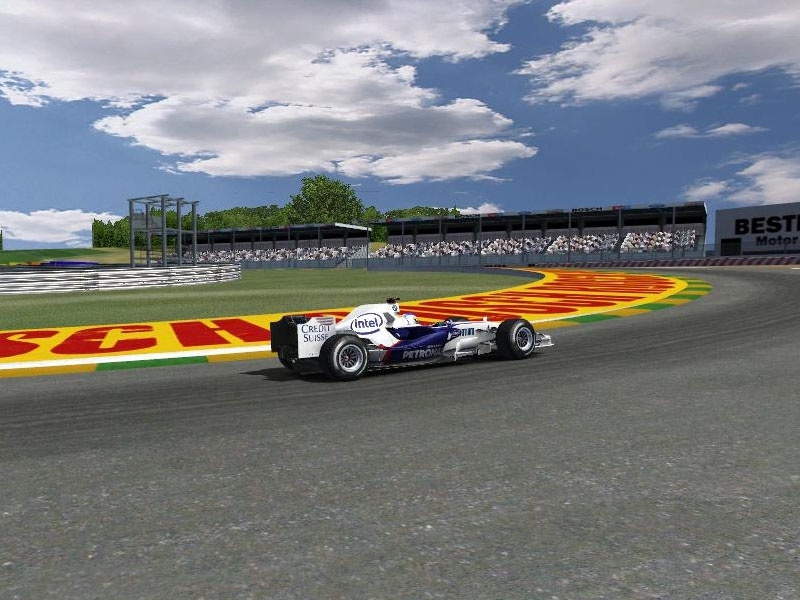 However arguably two of the turns have double apexes making the unofficial total 14 turns. Be sure to try both layouts (which are included in this package) and tell me which is your favourite. I have not made a video for this track yet, but I would love to see some videos uploaded to youtube! If you enjoy racing on my tracks, please consider making any small donation to my paypal on my blog. It often takes me a long time to make these circuits for the community and I really appreciate all donations. 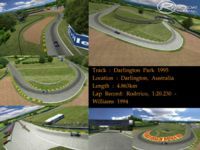 There are currently no setups for Darlington Park 1995 and 1992. Add a Setup. Beautiful work as always. Thanks s mate!